It's been a little over three years since Hideo Kojima and Konami parted ways, with the pair's final offering being Metal Gear Solid V: The Phantom Pain. While not complete in a couple of respects, Kojima's final game for Konami did lay the groundwork for future Metal Gear projects, with several elements now incorporated into the game developer's latest title - Metal Gear Survive. In this iteration, Big Boss (a.k.a Snake) only appears in flashback sequences, with the military stronghold of Mother Base reduced to a pile of metal sinking towards the ocean floor. The protagonist now is the person holding the controller, with gamers capable of crafting an avatar to explore and survive the world of Dite. 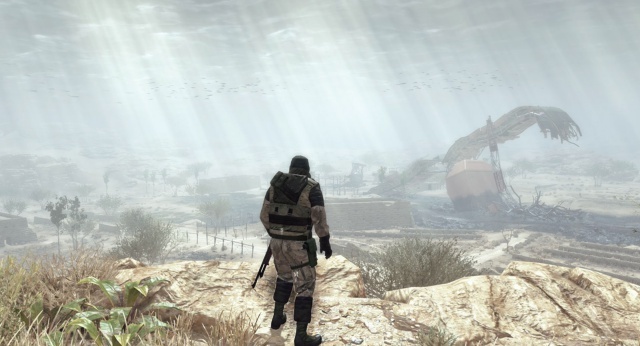 Dite looks a lot like Earth, resembling the desert landscapes that Big Boss had to traverse in MGS V. In fact, Metal Gear Survive borrows heavily from the aesthetic of that particular title, with hunting and foraging for food and water playing a key part of the gameplay. As the name suggests, the main object of the game is to survive, but one does not do that by simply mowing down enemies that crosses your path, but rather by scraping together whatever resources possible and fashioning the best tools from them. Along with breaking down nearly every wooden box, steel drum and table I came across in Dite, I constantly found ourselves checking the health bar for our hunger and thirst status more than I did for potential enemy targets. Consequently, the search for objectives in the game's main campaign took a backseat to ensuring your avatar stayed hydrated and fed. For gamers wanting action then, Metal Gear Survive is not for you. Unlike Phantom Pain, however, there is far less stealth and tactics involved, with the main enemy playing a large role in the difference. The threat in Dite are called Wanderers, who are essentially zombies with giant red and black crystals for heads. Infected by an unknown organism, the Wanderers do exactly that, strolling around aimlessly until they catch whiff of something living. As such the desire to engage with Wanderers is only done when absolutely necessary, with any opportunity to avoid encounters welcome. They aren't particular tough to take on, even when five or six come at you at once, but the lack of quick firing weapons early on in the game, as well as the need to conserve resources and energy, means fleeing instead of fighting is the best response. There is one reason to kill Wanderers though, as they contain the highly valuable Kuban. It's an energy source that only exists in Dite, and forms a central part of the reason why your avatar gets sent through a wormhole to the otherworldly dimension. The result is that collecting enough Kuban is the only way you can get back to Earth. Along with trying to survive in Dite, gamers will need to become master crafters if they plan to make it to the end. 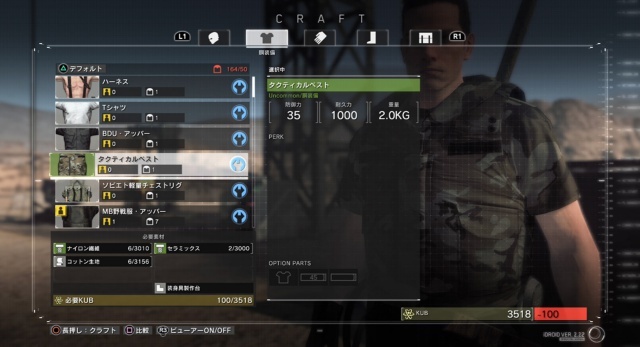 Much like Fallout 4 and Phantom Pain, creating tools, weapons and gadgets is a key aspect to Metal Gear Survive. But with resources extremely scarce, gamers need to take a lot of time to consider the objects they wish to craft. 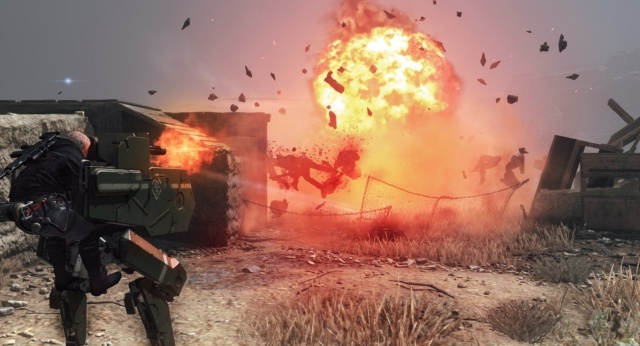 Whether it be weapons to take on Wanderers, or structures to fortify your home base, Metal Gear Survive feels more like a game for those that enjoying making than destroying, which again may leave those thirsting for action left wanting. Along with the emphasis on crafting, gamers may be put off by the often confusing menu setup in Metal Gear Survive. The Map and Personal Inventory sections are easy enough to navigate, but crafting itself can be difficult to understand at times, and will take some time to master. Furthermore, one does not know for, example, what kind of materials are needed to craft a gun, which means you're often collecting resources in the hope that they'll be useful down the line. As recent Metal Gear games go, Survive is one of the less memorable additions. There are bits and pieces that shine through, with attention to detail being one of them. Heavy on gathering and crafting, the action is too few and far between for regular fans of the franchise, with the engrossing large-scale battles and boss fights missing for the most part. 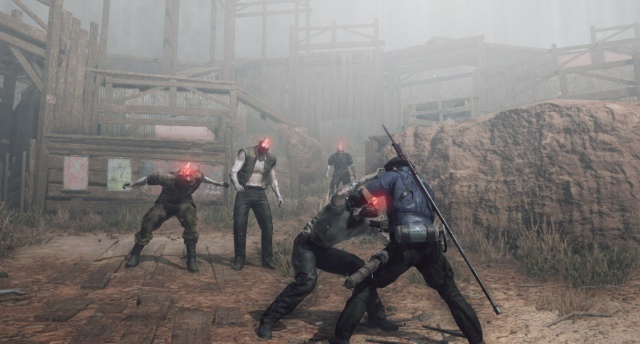 If, however, exploring a desolate landscape and taking on zombie-like enemies with tactics instead of high-powered weapons appeals to you, then Metal Gear Survive should provide a few days worth of gaming joy.